Overtime sediment will start to build up at the bottom of your water heater, reducing its’ capability to run effectively and will serve as a breeding ground for bacteria. In order to keep your water heater running at maximum capacity it is important to make sure that you spend some time once a year draining it. Click here to view a step-by-step process of how you can drain your water heater. While it is important to check your smoke alarm at least once a month, this task is often overlooked as it gets cooler and fires are not on the forefront of our brains. However, January usually has the highest percentage of residential fires in the US. Some of us simply put off or ignore the existence of fire alarms in our homes. The National Fire Protection Association suggested that homes should have smoke alarms in every bedroom, outside each sleeping area, and on every level of the home. Basically, make sure you have the necessary amount of fire alarms for your home size and that are testing them regularly, replacing their batteries, and even the devices themselves when necessary. Your stove range hood’s job is to grab all the fumes and grease from your stove top. Overtime this will cause buildup that will not only smell but it also might attract bugs and serves as a potential fire hazard. One easy way to clean your vents is by boiling them in some water and baking soda. You’ll want to clean the filter separately and avoid placing it in the dishwasher, all the grease caked on the filter can come off during the wash and can clog up your drain. The reasons for cleaning out your gutters are nearly endless; excess water can ooze into your wood and cause rot, leaking water might destroy the paint on your house, and bugs might be attracted to the wet environment and lay eggs. According to the National Center for Healthy Housing ensuring that your gutters are clean is an integral part of upkeep on your home and is important for the health of the occupants. With a good pair of gloves, a ladder, and some messy clothes you’ll want to grab out any loose debris from the gutter. Next, use a hose to wash out the gutter and scrub off any hard to remove dirt. Keep an eye out for any leaks that might exist or spring during your cleaning process. One easy way to save on energy costs and keep your home insulated is by making sure you seal any air leaks around your home. Air leaks can cause up to 30% of a home’s heating and cooling energy loss. You can test it see if your have any leaks by burning an incense stick near all the the windows joints and connections, if the smoke flickers, you can an air leak. If you are unsure where to look for air leaks, the department of energy provides a list of spots where air leaks might arise. Caulking and weatherstripping are two simple ways that you can seal up these destructive leaks. For a guide on weatherstripping click here and for a guide on caulking click here. Another way to let the heat out during the winter months is by leaving your AC unit in the window. A simple fix for this is to remove your AC unit during the cooler months. With the help of a friend or family member and some good gloves you’ll want to unplug the unit and remove it from the window. It helps to place the unit unto a towel to catch any leaky water. Now is also a good time to examine the unit for any damage; check places like the fan blades, blower wheels, and knobs to make sure they are in working condition. After you have checked for any problems you will want to thoroughly clean it. This means you’ll want to vacuum it out and scrub it with a vinegar/water mixture to remove any dirt or grease. You’ll want to give a little special attention to the unit’s filter, condenser coils, and water pan. After you finish cleaning you’ll then want to store it in a cool, dry location either in it’s original box (ideally) or a garbage bag in an upright position. Making sure that you are on top of roof issues can save you a lot of money and hassle in the long run. Key areas that you want to make sure that you look are the flashing, shingles, and the roof itself. Flashing is used to prevent water from trickling into the roof at the intersections. Sometimes these can deteriorate which can lead to leaks. You’ll also want to check out the shingles to see if they are either loose, cracked or missing; this can lead to some potential water damage or poor insulation. Your roof might be leaking if you notice that there are water spots on either the ceiling or the exterior walls. Another sign of water damage is if there is a lot of moss on the house, it might mean that the roof is decaying underneath. Remember, home maintenance is easiest when completed little-by-little. 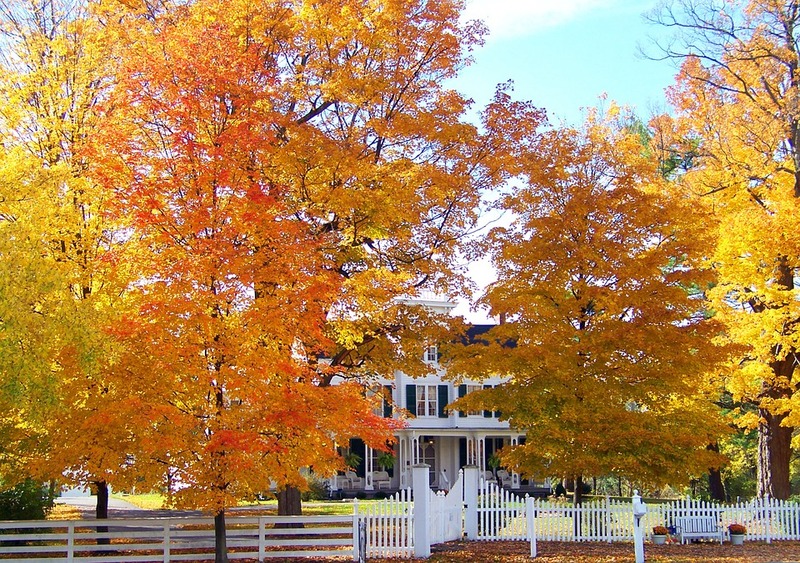 It is important to stay on top of these fall home maintenance tips, even if you don’t live somewhere that experiences extreme winters. So whether you live in San Diego or New York, staying on top of these projects could end up saving yourself loads of cash and sanity in the long run. Good luck!